Jonathan Stroud was an instant favorite when the Bartimaeus novels landed into my shaking hands. The story-telling are gripping and exciting, and fresh and something new. That is the reason why I never hesitated to read his new series for young adults called Lockwood & Company. The series is already on its fourth franchise and the story is never wavering. The only thing that scratches my OCD are the covers. The first book has a good cover and the following two books are even more amazing. But the first one has a different layout and typeset... a reason why I have to print my own dust jacket. And now, despite the very good story-telling... the cover for the fourth book is disappointing me once again since it is changing layout and design. Ugghhh! I have to edit my own once again and print a custom dust jacket. Only one thing is clear though, the subtitle is much larger than the series logo and the author, which means readers recognizes the title more than the author? Check out the cover of Lockwood & Company: The Creeping Shadow by Jonathan Stroud. 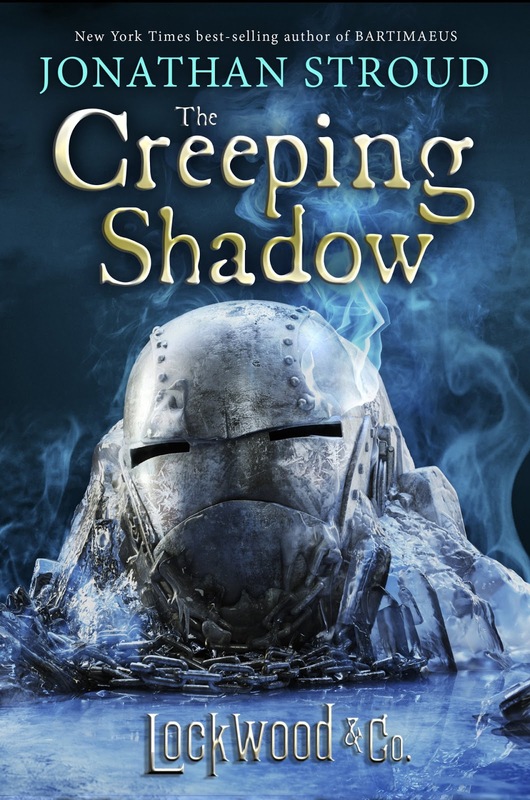 Lockwood & Co.: The Creeping Shadow by Jonathan Stroud will be released on September 13, 2016.